There are a lot of people working on supporting young people through the internet, or supporting young people to engage with the internet. Well, inspired and encouraged by the success of BarCampUKGovWeb, and after lots of conversations with folk, I though we could probably do with a BarCampUKYouthOnline to draw together some of those threads, to bring together some of the people interesting in exploring these threads, and to build some networks and ideas for action. So let's organise it. 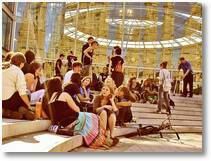 BarCamps are self-organised dynamic conferences created by the participants. The name is misleading, they've not officially got anything to do with alcohol. Young People as I'm thinking of the category is broadly 11 – 19 year olds – although that's not a strict boundary on what we can talk about. I'd originally proposed 3rd May 2008 as the BarCamp date – but on realising this was a bank holiday weekend – am suggesting a switch to the 17th May. Author timdaviesPosted on January 26, 2008 December 2, 2018 Categories TransferedTags aslawards, BarCampUKGovWeb, directgov, yofycf32 Comments on Is it possible to mash up data from Direct.gov? BarCampUKGovWeb – What should I be talking about on young people, government and web 2.0? Whilst I'm on the topic of upcoming conferences and events, two days before I'll be exploring how various speakers think we should keep young people safe online, I should be at BarCampUKGovWeb – an altogether different sort of event. A BarCamp “an ad-hoc gathering born from the desire for people to share and learn in an open environment. It is an intense event with discussions, demos, and interaction from attendees.” Participants are encouraged to contribute short sessions to the event – and I've just been thinking about the sorts of sessions I could present. …creating a shared understanding and commitment to the vision for UK government web activity and helping establish the UK government Digital Network to bring together the community of webbies within central government and the wider public sector. 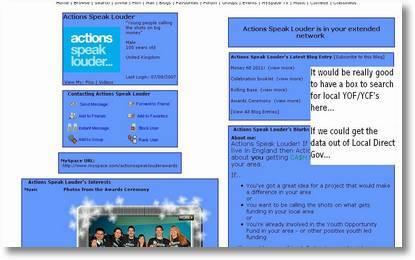 Quite a few projects I worked on over the last year have linked with UK Government web activity in one way or another. It's ranged from trying to provide youth-focussed content for government websites, pulling data out of Local Direct Gov or capturing video interviews with civil servants. And as the focus of most of my work is around young people's participation – I thought I would sketch out four possible mini-sessions linking 'young people, government and web 2.0' for the BarCampUKGov audience. You can see my four ideas pasted in below. If you've got any other suggestions for topics – or want to suggest developments to any of the below – do get in touch using the comments below. Exploring issues around making sure under 18's are included, not excluded from the online civic space. A bit theoretical – but with big practical implications. 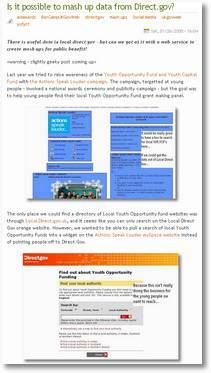 Using a case study of the Youth Opportunity Fund – a national programme, with a unique name (chosen by young people) in each local authority area – but for which we were trying to run a national publicity campaign working with (the then) DfES and DirectGov. 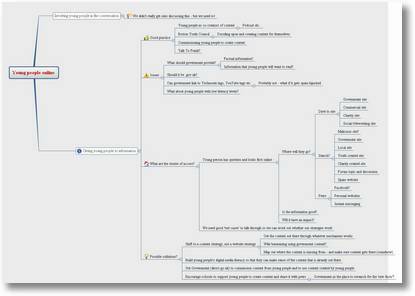 Touches on technical issues linked to Local DirectGov – and organisational issues about policies for where content is hosted. A very practical case study. 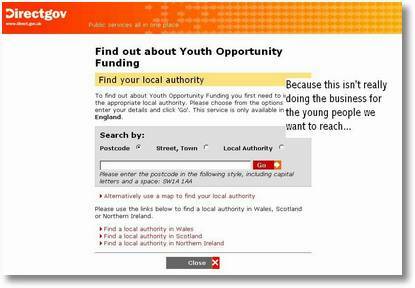 I'm aware of at least one local authority building their own Social Networking website linked to the local Connexions database (holding personal information about young people). What happens when young people's online interaction comes within the ambit of the database state? Could we see social networks being linked to ContactPoint and other child protection databases? What about for over 18s? If I get chance to put together a full presentation for the BarCamp then I will, of course, share it here. And I'll aim to at least blog at/after the event on any discussions arising from the sessions I'm in. 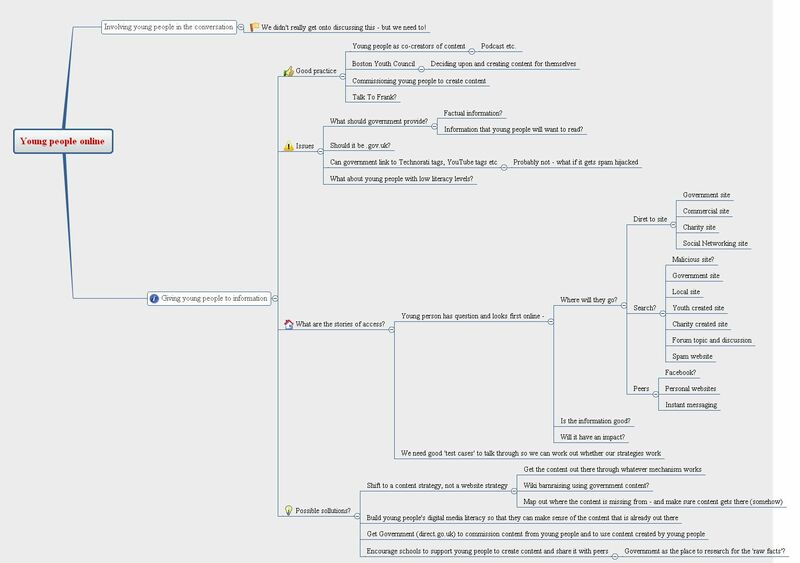 Author timdaviesPosted on January 17, 2008 December 2, 2018 Categories TransferedTags barcamp, BarCampUKGovWeb, Participation, social media, young people, youth1 Comment on BarCampUKGovWeb – What should I be talking about on young people, government and web 2.0?